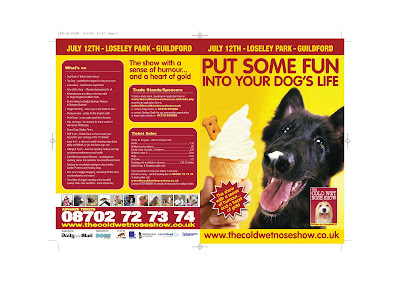 Could you take our new Cold Wet Nose Show posters/leaflets to your Dr's surgery, vets, school, library, post office, training school - anywhere where you think they could be seen? We've just got them delivered yesterday and they are just so lovely. Be just wonderful if you could even just take a few out with you when you walk and pass them on to fellow dog lovers who may not have yet heard of the event! We really need all your help in this first year. 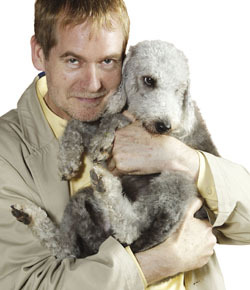 Be great to get a bit of positivity going among dog lovers who have had a bit of a rough year in the media. And it's such great news that the fantastic Kate and Gin will be performing at the show. We already have a dancing ring for people to have a go and the talent area, too. 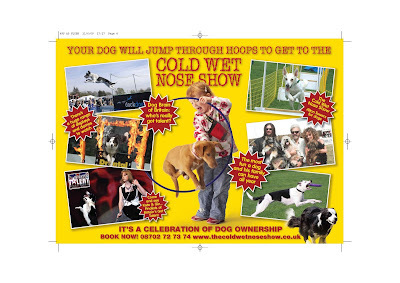 So anyone who watched Britain's Got Talent and wanted to know how to do it should find out how to get involved in lots of doggie hobbies on the day. Let us know approx how many leaflets you'd like (ie some - 10s or tons 100s) - please email me your name and address and as a thank you we'll add a mag onto your subscription if you have one - if not we'll send you the next mag free of charge in any case! I've already asked Craig for some on our dog forum. I'll send you my address. Hairdressers & dentists are more suggestions for leafletting...is there such a word...doh!